Perfume packaging is more than holding the product and attracting customers. It helps your product to differentiate, to boost sale and to market your product. It depends on how well-designed your packaging is. Most of the customer's buying decision depends on the packaging box. 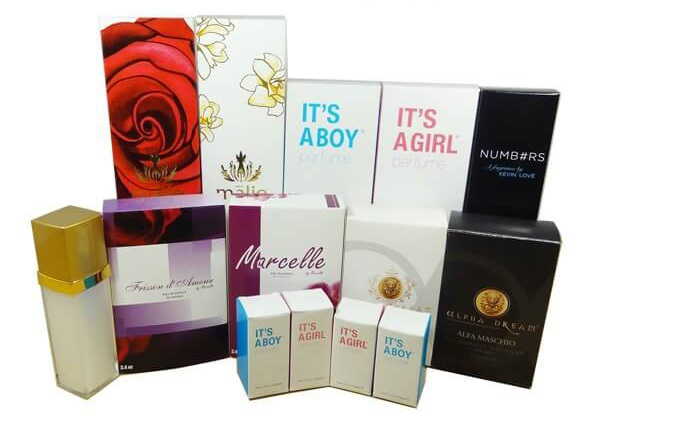 An excellent custom perfume box can make a difference in the success of your product. So, below are some tips to design the perfect boxes for your Perfume Packaging. Almost everyone uses perfumes and fragrance on daily basis. Everyone loves perfumes and wants to smell good. Besides the good smell, it can make your day, uplift your mood and make you confident to get through the whole day. So, people tend to buy the different type of perfumes. It is one of the reasons that perfume market is full of different brands that launch hundreds of new product every year. It makes the completion tough in the perfume industry and every brand is striving hard to get the desired place in the market. For making your name in the market, it is important to attract a large audience which totally depends on the packaging of your product. Always do proper research before starting your designing process. Know who you are competing with, research about your competitive brands well. The market is full of perfume brands and every brand is competing hard to target maximum audience. So, it is wise to know what other brands are up to. In addition to it, also consider your ideal customers. Perfumes are for all. So, it is important to know whom you are designing for, what are their interests and what they look in packaging. While designing custom packaging, it is important to collect all details before time. Collect all necessary information about your customers and product. What is your product?? Where it will reside?? Which other perfume brands will sit next to you on shelves?? These are all basic points that you should know before designing. It will help you to differentiate your product best. Also, consider what will be the USP (Unique selling point) of your product. Custom packaging is not easy to design so, collect as much as information as you can. When it comes to the perfect box for Perfume Packaging a lot of things count in. What will be its size?? What material is it made of?? Will a unique shape box work?? Do you it to customize with different die-cuts?? Always choose the right sized box which holds your product perfectly with complete protection. Custom design for your perfume packaging depends on what material you choose for your boxes. Some box materials are capable of high-quality print and some are not. Most important don't forget the green factor while choosing boxes. One of the most important decisions in the whole designing process is picking the right color for your perfume boxes. Choice of color depends on the type of your perfumes, whether the product is for man or woman and other competitive brand's colors. The color of the perfume boxes should help the product to stand out and to encourage customers to take actions. Women usually go for bright and colors whereas men mostly tend toward dark themes. You can also use your brand colors to build a unique identity. A typical perfume box usually contains a lot of information and text. So, it is essential to choose right font and typography to reflect your brand personality. First, think about what text you going to put on your perfume boxes. It will include your brand and product's name, its tagline/slogan and other product related information. Don't fill your box with text, just add the required information. Also, decide what information should be prominent in box design. To be more unique, you can go for custom hand lettering instead of typical font. After picking the color and right typography, turn comes to visual elements for your perfume packaging. Usually, the basic visual elements on a custom box are the logo and product's image. The image you want to use on your box and its placement depends on the type of perfume you are designing for. It helps in giving customers a preview of the product. Images with text can be more impactful in evoking customer's emotions. Visual elements can be patterns and other graphics other than product image. When it comes to designing a custom perfume boxes, you have to think about both outer and inner packaging. Inner packaging can be for protecting the product or it can be about giving your customers something extra. But it is more than packaging insets and bubble wrap to protect the product. After purchasing the product, the next step is unboxing. Add custom thank you notes, discount coupons, sample product or other freebies to make customers unboxing experience memorable. It will affect customer's post-purchase behavior and will increase their loyalty towards your brand. By following the above tips, you can plan perfect design for your custom perfume boxes. But a professional help is must to do it in a professional way and what can be a better option other than Custom Packaging Pro. We will help you to design a perfume box that will surely stand out.